When September arrives, we start to usher in Mum Season. Who doesn’t love the color and attention that mums bring to your yard? How you display them can really add an impact to your home’s appearance. Here are a few of our favorite displays we’ve found on the internet. Nothing is more welcoming than an abundance of color on your steps, and this set of steps really steps up its game. Large pots, and lots of color. 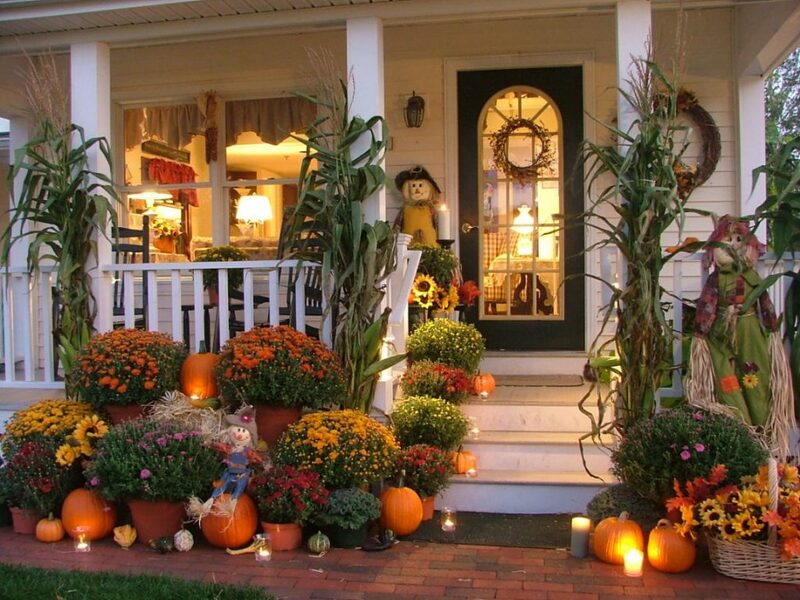 When displayed with a group of pumpkins, you let everyone know fall is here.